How many companies have you heard who calling their customers to help them. In today's world not even telephone / mobile operators provide toll free service for customer complaints, but as always Tally is different. In my earlier post I have mentioned the help channels available for free help on tally. Now breaking new method of Tally care has been launched by Tally to help out its customers. This channel is called Tally Care. This channel is basically an app for your smart phone. In case of any help when you stuck some where in middle of your work just tap your phone and Tally would call you back. 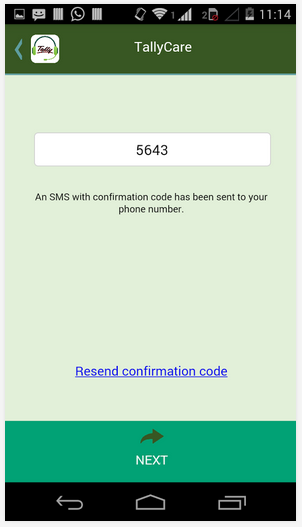 The first thing is that you need not to remember any phone number just go to your App Tally Care. The second and best part is it's free. Let see how to get this help. You should have a smart phone either android or iphone with internet connection. 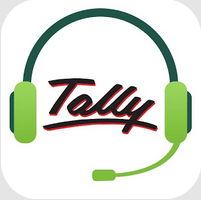 For android phone you can download the app from this link or you can just search for Tally Care in google play store and Download it. For i-phone you can download it from this link. After downloading you have to register the app first. 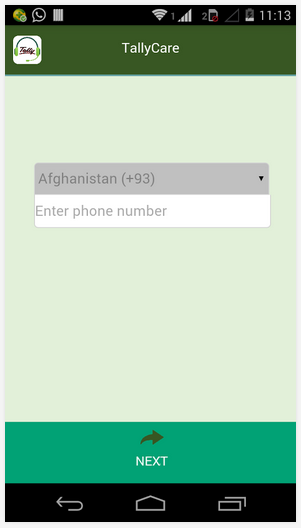 Select your country from Menu option and then enter your phone number and press next. Wow your Tally Care is installed. 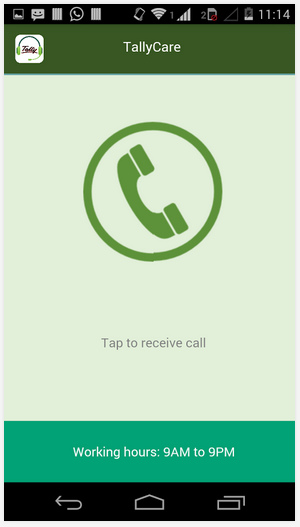 Now just tap the screen and wait for the call. Thing to remember here is that working hrs. 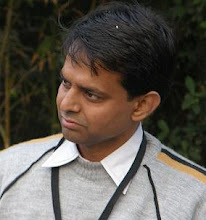 of Tally Care are 9:00 am to 9:00 pm on working days. I think this is pretty cool. So Happy Tallying. Share your experiences in comments.